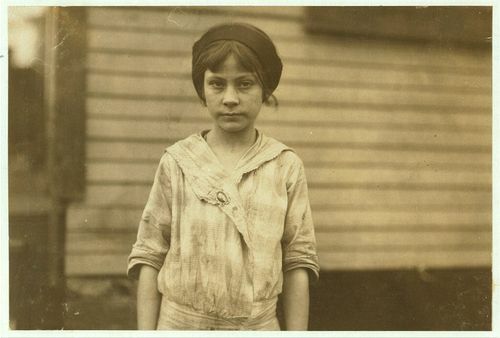 Madeline Causey ten year old worker in Merrimack Mills. Been working there for four months. Fills batteries. Her mother said she was born July 7, 1903. Location: Huntsville, Alabama.